Sentenced To Death, Destined For Life: Tell My People I Love Them! One Woman’s Journey From Certain Death To Abundant Life! – The impossible and yet miraculous journey of one woman living in our generation that is destined to change the hearts of everyone it touches. Her story has touched many lives already and has inspired them to reach higher and to believe in miracles. Even those who didn’t believe in miracles could not deny what they have seen. He has proven His word again, for nothing is impossible for God. He still heals, saves, restores and delivers today! USA Amazon: Order In Print! Barnes & Noble: Order In Print! AMAZON KINDLE: Order On Kindle! BARNES & NOBLE NOOK: Order On Nook! Or Order on our BENEFICIAL ZONE website! 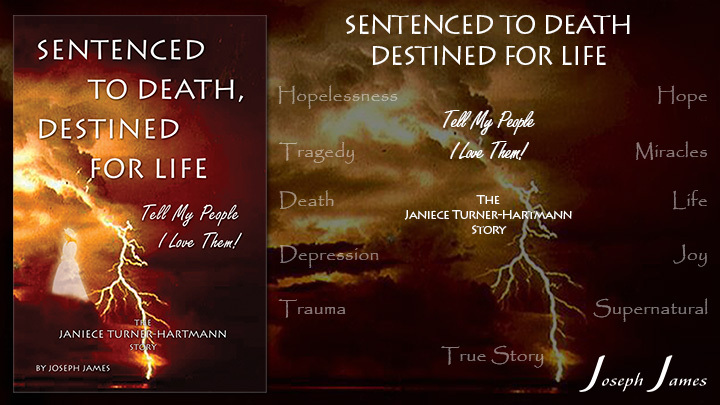 Visit the SDDL website and discover more facts about the book, Janiece’s miraculous story, over seven hours of video with her sharing her story, as well as a blog. The website was created to help others who might be struggling with something similar and perhaps even contemplating suicide. Save A Life!